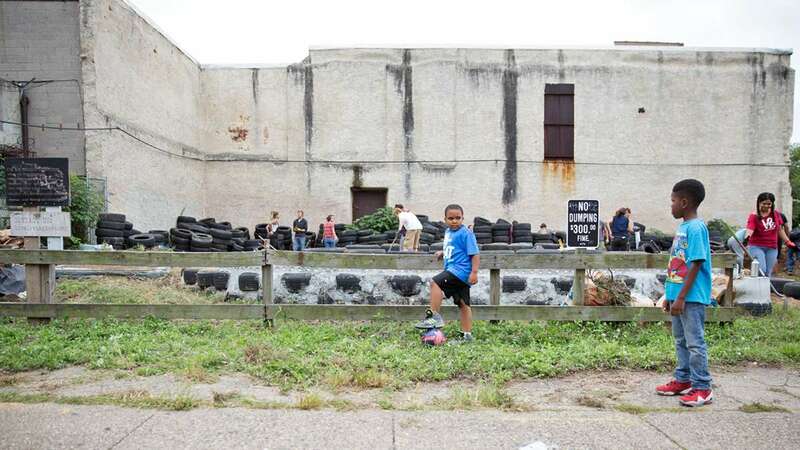 Pennsylvania cities have transformed vacant lots into community gardens and urban farms, but what about using abandoned lots for urban earthships? 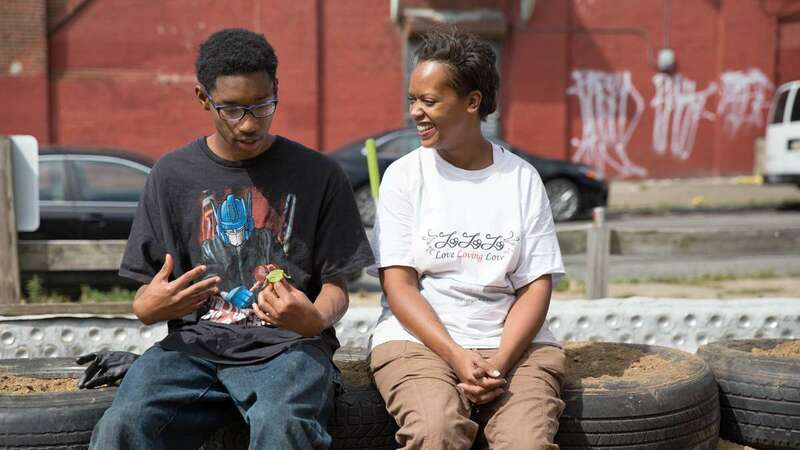 Pennsylvania cities have transformed vacant lots into community gardens and urban farms. Pittsburgh has considered building tiny house communities. 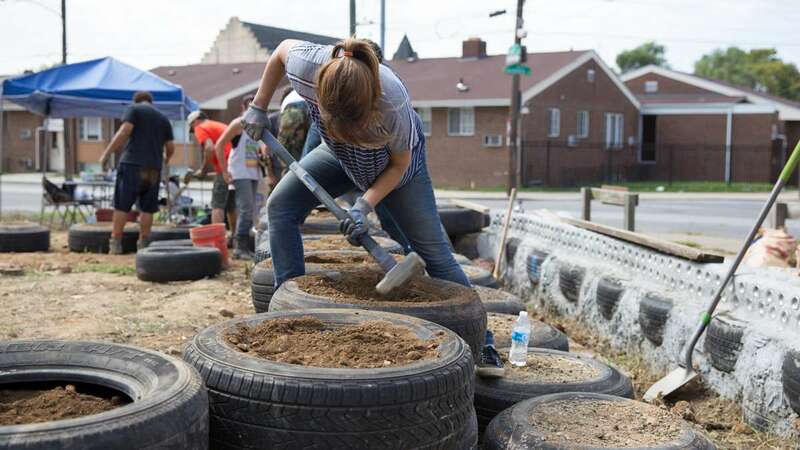 But what about using abandoned lots for urban earthships? What’s an earthship, you ask? It’s a sustainable home built from recycled materials or trash that provides electricity, natural heating and cooling systems, potable water, sewage and food productions systems — all independent of municipal services. 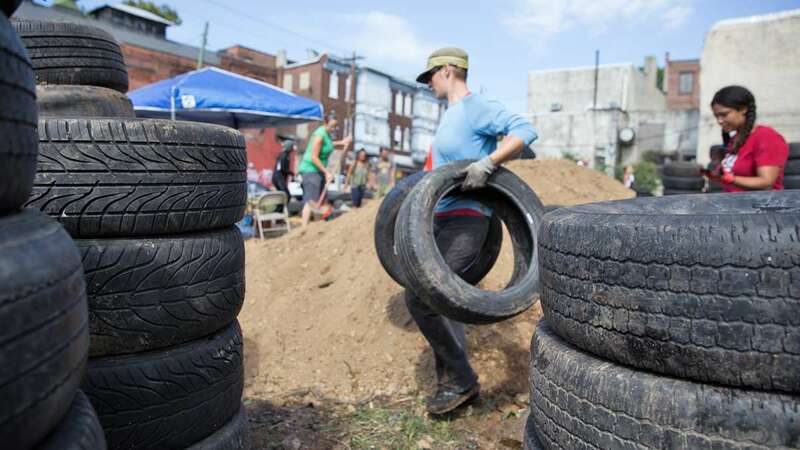 Typically these dwellings are built in remote places, but on a recent Sunday afternoon about a dozen volunteers pounded dirt and cardboard into used tires at a neglected lot near Lancaster Avenue and 41st Street in West Philadelphia to build the first urban earthship. A community center fewer than two miles away is also in the process of building its own earthship. 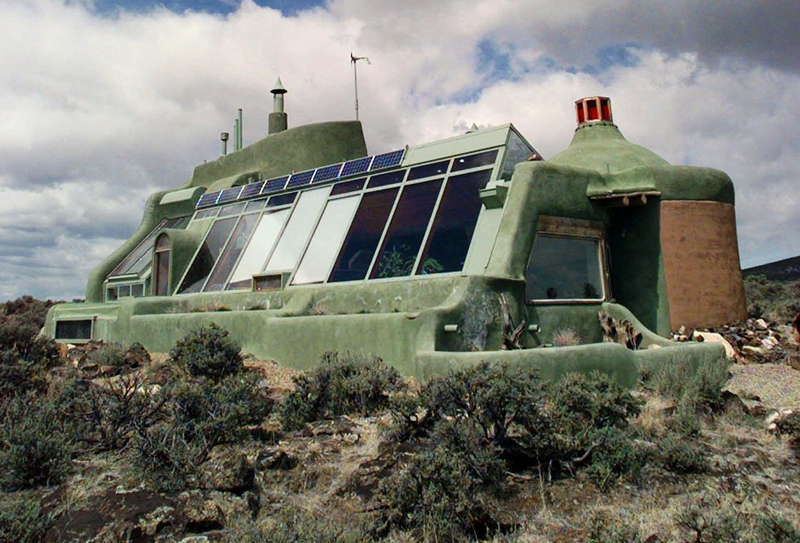 The idea to build an urban earthship was sparked late one night when Rashida Ali-Campbell was watching “Garbage Warrior,” a documentary about Michael Reynolds, the eccentric eco-architect who created the original design for an off-the-grid home he called an earthship. For Ali-Campbell, the earthship represented a solution to many of the problems she saw and experienced living in an urban environment — especially the ability to grow fresh produce. 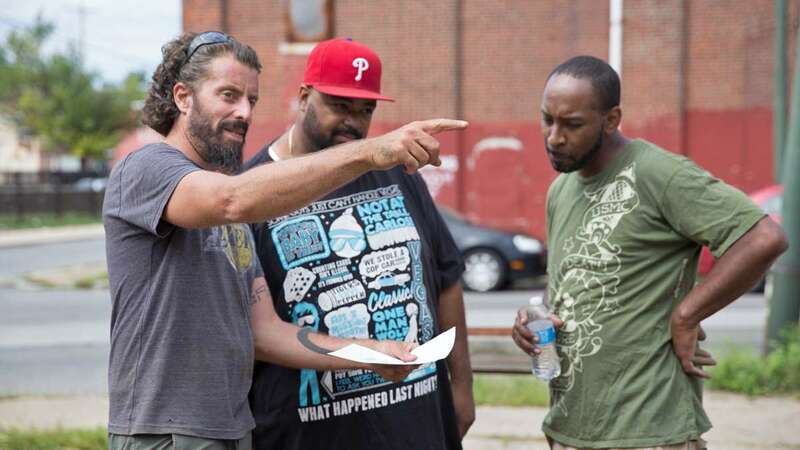 More than seven years later, Ali-Campbell’s vision for an earthship in Philadelphia is slowly becoming a reality. 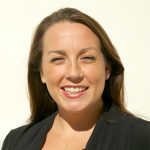 She plans to use the structure as the Philadelphia headquarters for her nonprofit LoveLovingLove, Inc. 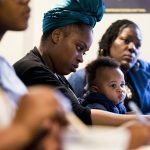 The group, based in Yeadon, Pennsylvania, works with low-income communities to provide holistic health education like music therapy and anger management strategies. At the earthship, she’ll grow fruits and vegetables year round and provide them to the surrounding community — free of charge. She also sees the earthship as a place to teach people about nutrition and how to better manage their health, stress and anger through holistic therapies and medicinal herbs. Laying the foundation for the earthship and navigating the city’s building codes and regulations has not been easy, said Ali-Campbell. In 2013, her group was donated two vacant lots, but they had to pay about $7,000 in back taxes before gaining ownership. And not everyone in the community has been on board for the project to take off, even if it means transforming a vacant or neglected lot. 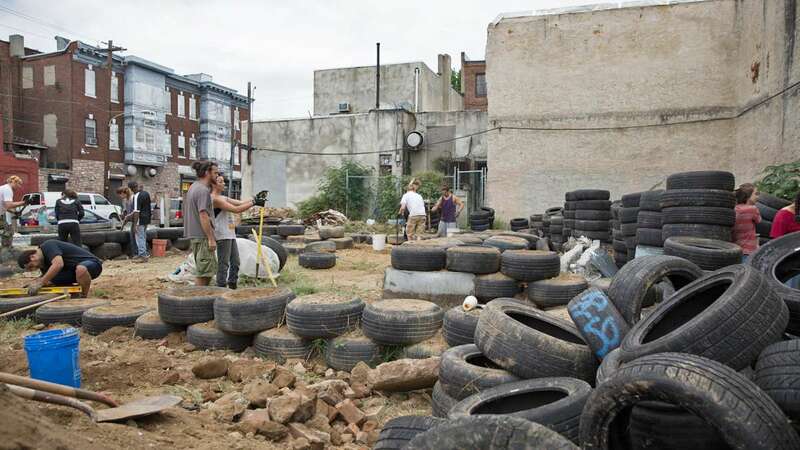 Philadelphia City Council Member Jannie Blackwell said when the project began some community members were worried about people dumping tires in the area and the general aesthetic of the earthship. 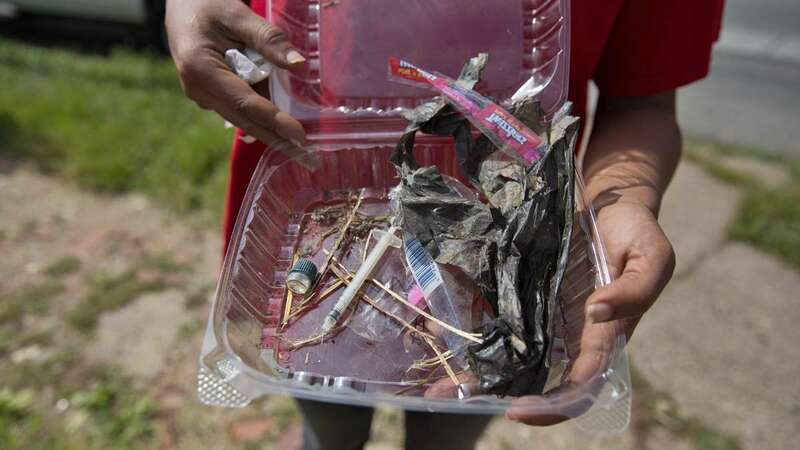 But after a few community meetings, residents have come around to the idea. Jonah Reynolds, whose father Michael created the first earthship, said the concept behind the project is really about putting housing back in the hands of the people. He moved to Philadelphia from New Mexico to help work on the projects. 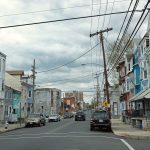 In Philadelphia, he said, it’s about demonstrating that you can build your own home from the ground up in a high-density environment with no machines and no fossil fuels. 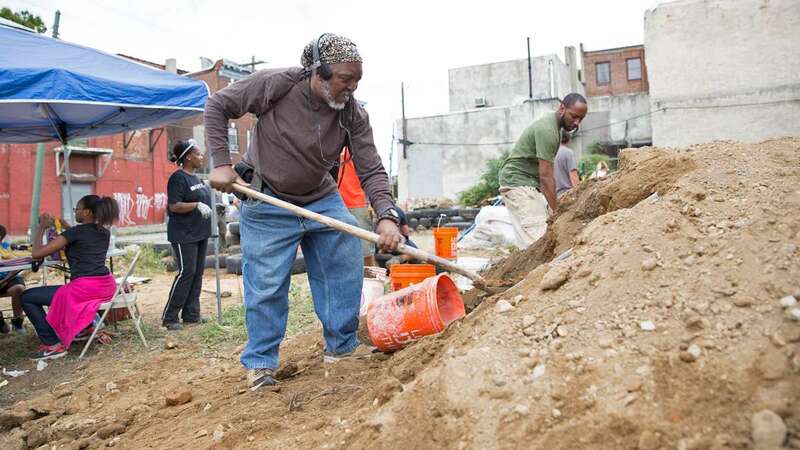 Although no one is planning on actually living in either of the earthships in Philadelphia, and there are no plans to scale up at this point, he sees the low-tech structures as a viable and affordable housing option. He said the design will be modified by adding an extra wall of tires for insulation, and the external wall will be finished with stucco similar to other buildings in the neighborhood to better fit with the urban environment. Excluding donations, Ali-Cambell estimates the total cost of the project will be about $40,000. To complete the urban earthship, LoveLovingLove, Inc. still needs to fundraise about $21,000 for the cost of materials.